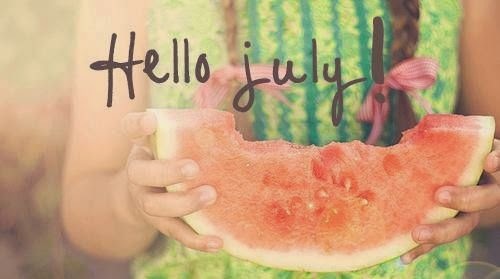 July came! It means Summer has come. And I'm in the last month of the age 21 and also the last month (1 month and a half actually) of mine in Japan. As you can see, my time in Japan is running out as fast as the rocket speed, which makes me to do something I have never done before I officially run out of time here. In addition, my friend and I really wanted to get out of the busy city (just for a few hours though), plus it has been a while since we were last in nature so last week we decided to make a visit to Kurume, a town next to Fukuoka and see hydrangea flowers as it is season of hydrangea in Japan. We reached Kurume at noon, just in time for lunch. We wanted oden as a shop recommended on the internet before but we failed to find it (maybe it's no longer there) so we ended up having lunch with soba and udon at a random family restaurant. The meals were very nice and huge, super huge, much bigger than we expected. My friend had wanted parfait for dessert but she gave up because of the big bowl of noodles. Then, we were off to Senkoji Temple which is known as a hydrangea temple. It took 20 mins on bus and 20 min walking. On the way to the temple, we saw lots of flower shop and gardens where contribute flowers to Kurume and maybe other cities. Kurume is not as big as Fukuoka, less crowded and more natural with mountains, flower gardens, rice field every where. We completely lost in nature! And we also lost in a sea of flowers when we got to the temple as hydrangeas are in full bloom with a variety of colors from red, pink to blue. I like the blue one the most as blue is my most favorite color and I had never seen any blue flower before coming to Japan. The flowers looked so stunning, so we couldn't resist taking photos of them. Egle and I also found a grave of a prince who was a general of western japan while exploring the place. After the temple, we got back to Hakata, took our bikes and off to Tenjin for dinner and some shopping. We had pizzas for our dinner and matcha parfaits as desserts in a famous cafe. Those sweets were great, Egle really enjoyed it. She was craving for that all day long. I'm not a sweet fan but I can be up for sweet if it's made from matcha. Actually I wasn't interest in matcha or japanese noodle like udon and soba when I was in Vietnam or when I first came to Japan. But after a long time living here, I gradually got familiar with those things and now I realize that I'm really in love with them, like I love Pho or Vietnamese spring rolls and other Vietnamese foods. We had a long day cycling and walking but it's a good day with good walk and good food. Kurume is the place I had wanted to visit for a long time and I'm glad that I made it. Our destination for the next visit would be Karatsu where we can do more walks and enjoy more stunning natures.